A breach of fiduciary duty claim arises where trust and confidence is placed by one party and a trust is accepted by the other, or where confidence has been acquired, and abuse occurs. 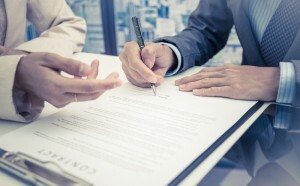 Fiduciary relationships may be implied in law and such relationships are premised upon the specific factual situation surrounding the transaction and the relationship of the parties. In the business context, a breach of fiduciary duty may be carried out by controlling shareholders, members of the board of directors of a business, or even highly placed employees who abuse the trust and confidence placed in them in carrying out their duties to the business. Abuses include, for example, the misappropriation of company money, contracts, opportunities, assets, and/or trade secrets. Claims relating to a breach of fiduciary duty can involve the loss of significant sums to a business. The attorneys of The Jackson Law Firm will work closely with you to recover these losses or defend such claims if wrongfully brought against you. We encourage you to contact our firm to discuss your options regarding your matter.